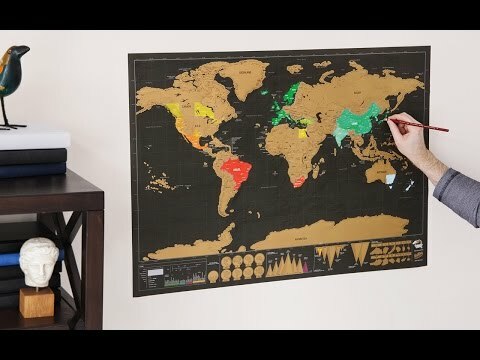 At a glance Scratch Map will tell the world where in the world you've been. Luckies of London has created an elegant, gold-foil map of the world to help you track your world travels. The fun part is with the swipe of a fingernail or an eraser, colors are revealed to keep track of where you’ve been. This is a great way to document your travels. It's interactive, informative and keeps the memories of your journeys in tact and in one place. 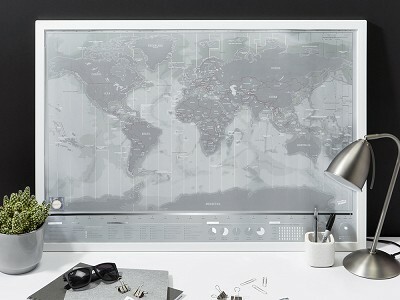 A cool, new concept in travel memorabilia, you'll love the quality and style of the Scratch Maps. 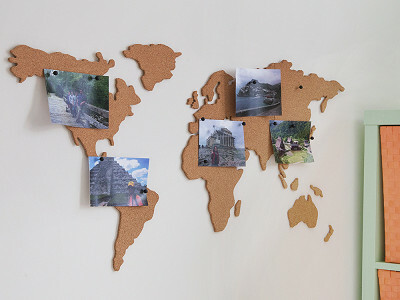 If you’re looking for a place to display your travel memorabilia, mount the Corkboard Map on your wall. Hang pictures and tickets so your favorite destinations are always in view. Liven up your room with these guaranteed conversation starters or consider one as a gift for a fellow traveler. Map your visits to places at home and abroad or decide where you might like to go next. 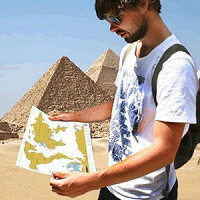 At a glance Scratch Map will tell the world where in the world you've been. 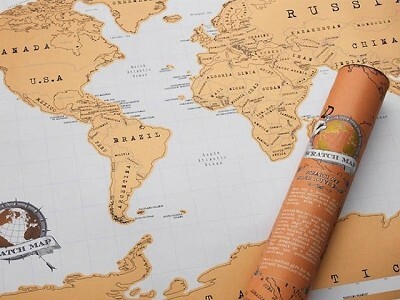 Luckies of London has created an elegant, gold-foil map of the world to help you track your world travels. The fun part is with the swipe of a fingernail or an eraser, colors are revealed to keep track of where you’ve been. This is a great way to document your travels. It's interactive, informative and keeps the memories of your journeys in tact and in one place. 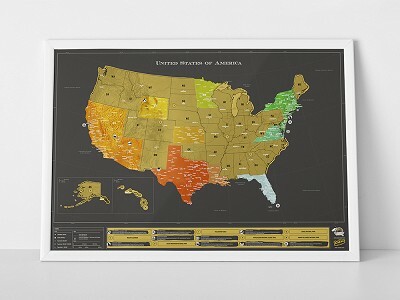 A cool, new concept in travel memorabilia, you'll love the quality and style of the Scratch Maps. If you’re looking for a place to display your travel memorabilia, mount the Corkboard Map on your wall. Hang pictures and tickets so your favorite destinations are always in view.